Mathilde Gross Mayer, my distant cousin and the author of Die Alte und Die Neue Welt, had three younger brothers in addition to her younger sister Anna about whom I wrote in my last post. In this post, I will tell what happened to the three brothers. In order to learn a little more about them, I decided to use my little bit of German (along with a dictionary and Google Translate) to try and read some of Mathilde’s book myself, in particular Chapter 4, which is entitled “Geschwister,” or siblings. 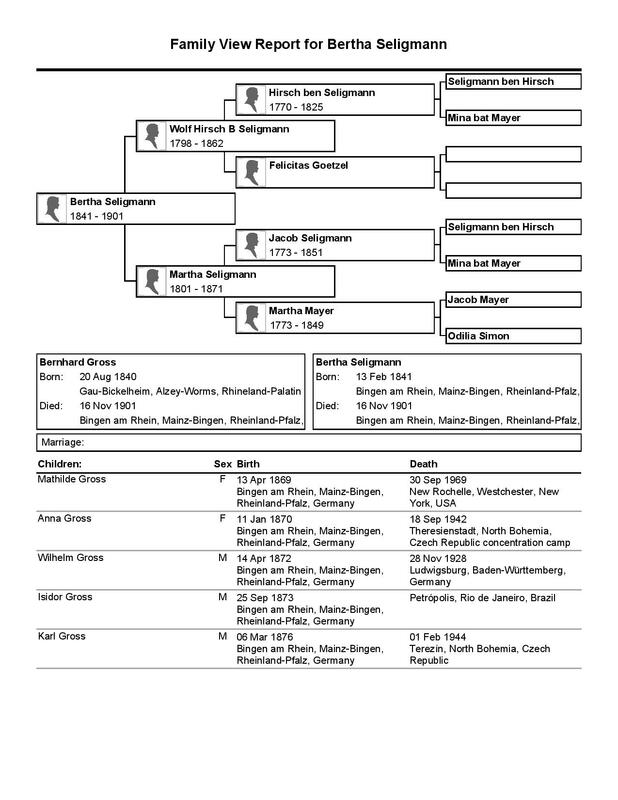 I also relied on the family biography on the Arbeitskreis Judische Bingen website in addition to traditional genealogy sources. Wilhelm, the third child of Bertha Seligmann and Bernhard Gross, was born on April 14, 1872, in Bingen. He married Sophie Hirsch, who was a relative of his sister Anna’s husband, Wilhelm Lichter, and they, like Anna and her family, settled in Stuttgart. They had a son, Bernhard, born in Stuttgart in 1905; he was presumably named for his grandfather Bernhard, who had died from carbon monoxide poisoning in 1901. According to Mathilde’s book (pp. 48-50), Wilhelm suffered from mental illness and was institutionalized for many years, dying in a sanatorium in Wurttemberg in 1928. When Hitler came to power in 1933, Wilhelm’s widow Sophie and son Bernhard Gross immigrated to Rio de Janeiros, Brazil, where Bernhard became a very successful and well-known physicist. 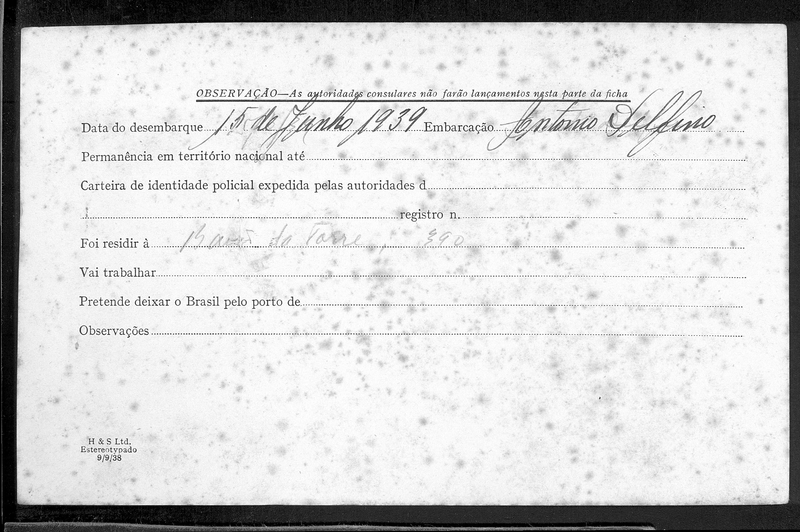 He was appointed to the staff of the National Institute of Technology in Rio and eventually became the director. He also served on various scientific committees of the United Nations and traveled all over the world serving on those committees; later, he was the director of the Brazilian National Commission of Nuclear Energy. You can read more about his life and career here and here and here. He died at age 97 in 2002 in Brazil. Mathilde’s second brother Isidor, whom I’ve mentioned before for his role as a contributor to Mathilde’s book, was born on September 25, 1873, in Bingen. He married Klara Emrich, and like his sister and her husband, Anna (Gross) and Wilhelm Lichter, Isidor and Klara settled in Stuttgart where Isidor worked as a banker. 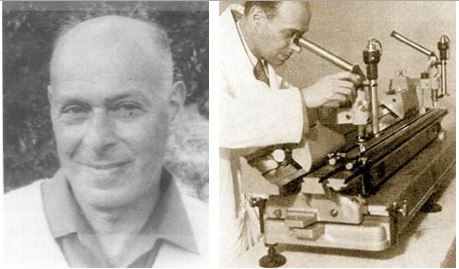 Isidor and Klara had one child born in 1903 and presumably also named for his grandfather; his name was Hans Bernard Gross. 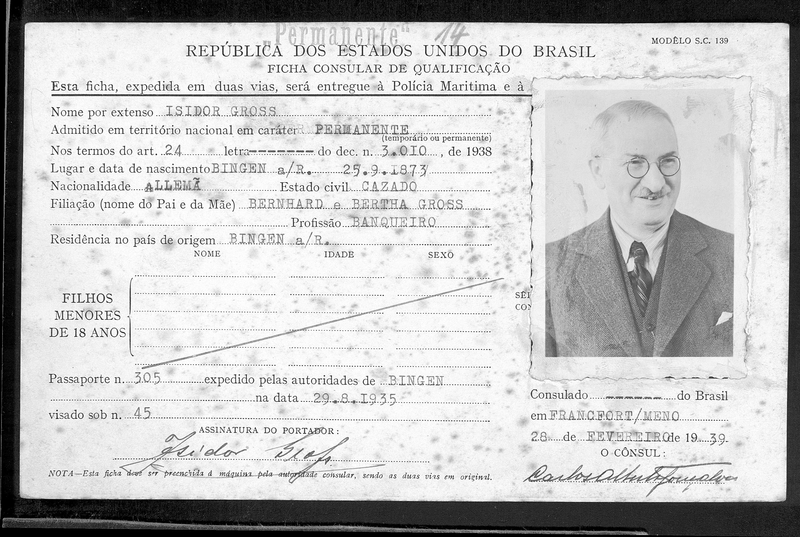 When Wilhelm’s widow and son, Sophie and Bernard Gross, left for Brazil in 1933, they took Isidor’s son Hans with them as well, according to the Arbeitskreis Judische-Bingen website. Hans was at that time a law student. 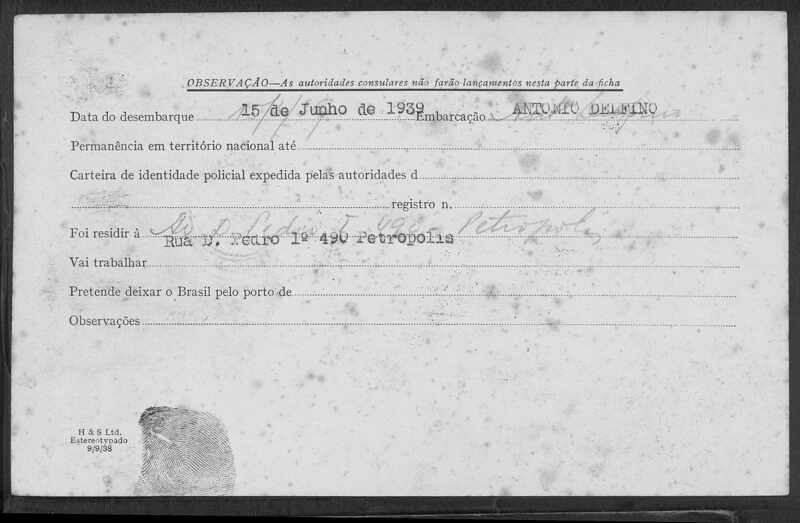 Brasil, Cartões de Imigração, 1900-1965,” database with images, FamilySearch (https://familysearch.org/pal:/MM9.3.1/TH-1951-22436-27549-86?cc=1932363 : 10 November 2014), Group 4 > 004914427 > image 44 of 203; Arquivo Nacional, Rio de Janeiro (National Archives, Rio de Janeiro). They both lived the rest of their lives in Brazil, as did their son Hans. Isidor died and is buried in Petropolis in 1950; Klara is also buried there; she died in 1969. Hans died in Rio de Janeiro in 1979. 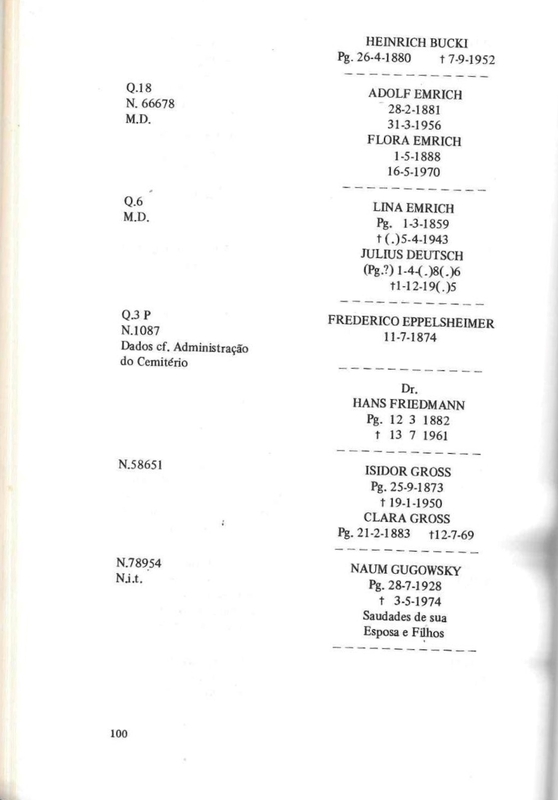 Unfortunately, the youngest child and third son of Bertha Seligmann and Bernhard Gross was not as fortunate as his older brother Isidor or his sister Mathilde. Karl Gross was born on March 6, 1876, in Bingen, Germany. According to the Arbeitskreis Judische Bingen page dedicated to Karl, he married Agnes Neuberger, and they had two daughters. Bertha was born in 1906 and presumably named for Karl’s mother, Bertha Seligmann Gross, who had died with her husband in 1901 from carbon monoxide poisoning; sadly, Bertha suffered brain damage at birth and required special care. A second daughter, Ilse, was born in 1921, after Karl returned from service in the Germany army during World War I. He had served from August, 1914, through the end of the war and was honored several times for his service. After returning from the war, Karl worked in the Gross family winemaking business. Two years Hitler’s rise to power, he and Agnes decided to send fourteen year old Ilse to the International School in Geneva, Switzerland in 1935. In 1938, when she was just seventeen, Ilse left Switzerland for England. Karl and Agnes, however, stayed in Germany to be near their other daughter, Bertha. In December, 1940, the German Reich required that Bertha be admitted to the Israelite Hospital and Sanatorium in Bendorf-Sayn, also known as the Jacoby Institute. It had been founded almost a century before as a mental institution for Jewish patients. Its role was altered terribly by the Nazis. During the first years of National Socialism the Jacoby Institute was left in relative peace; probably as an acknowledgement of the fact that it was an important employer for Sayn and the region. ….A circular decree issued by the Ministry of the Interior on 12th December 1940 decreed that “mentally ill Jews” were only to be accommodated in Sayn because “a cohabitation of Germans and Jews is not acceptable in any length of time” (illustr. 7). The option of concentrating all the patients in one location served as preparation of their deportation. In the course of five transports (between March and November 1942) 573 people were taken to the death camps in the East. Bertha Gross was one of those 573 people; she was deported to a concentration camp in Izbica, Poland, where she died. 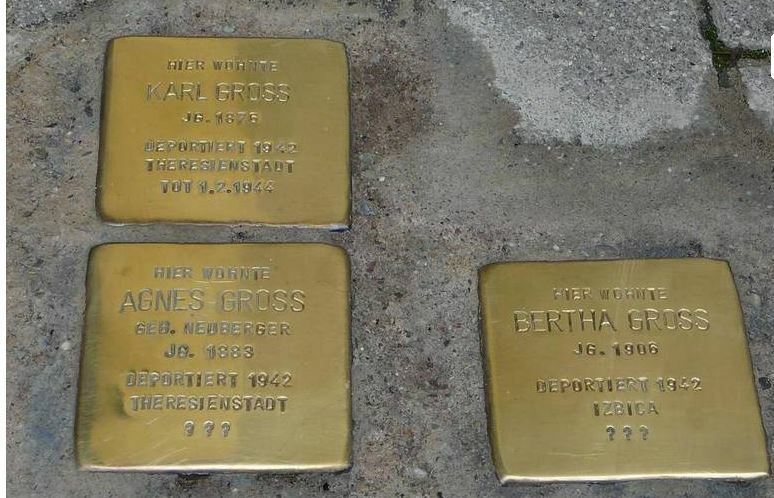 Karl and Klara Gross also were killed in the Holocaust. They were sent to Theriesenstadt on July 27, 1942, where Karl worked as a stretcher-bearer until he died on February 1, 1944. 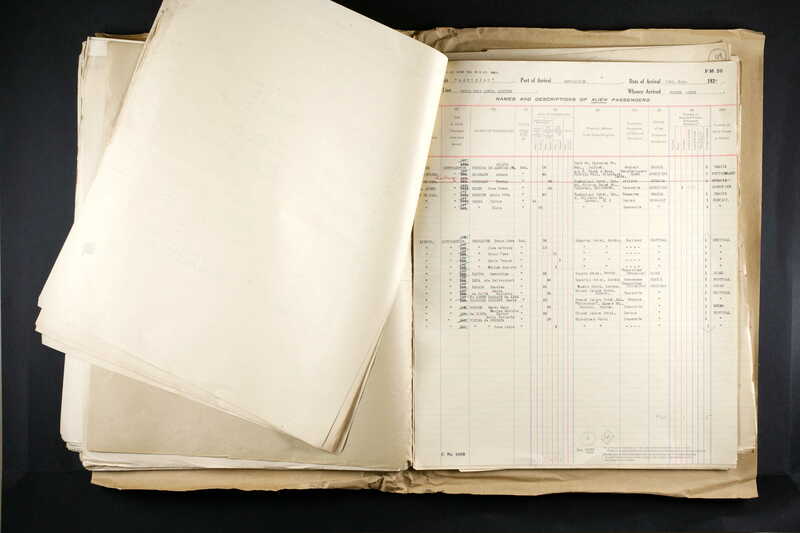 In October, 1944, Klara was deported from Theriesenstadt to Auschwitz where she was murdered. Their younger daughter Ilse, however, survived, and like so many in this family, she ultimately thrived. As described in her obituary, after leaving Switzerland for England in 1938, at first she worked as an unpaid mother’s helper. 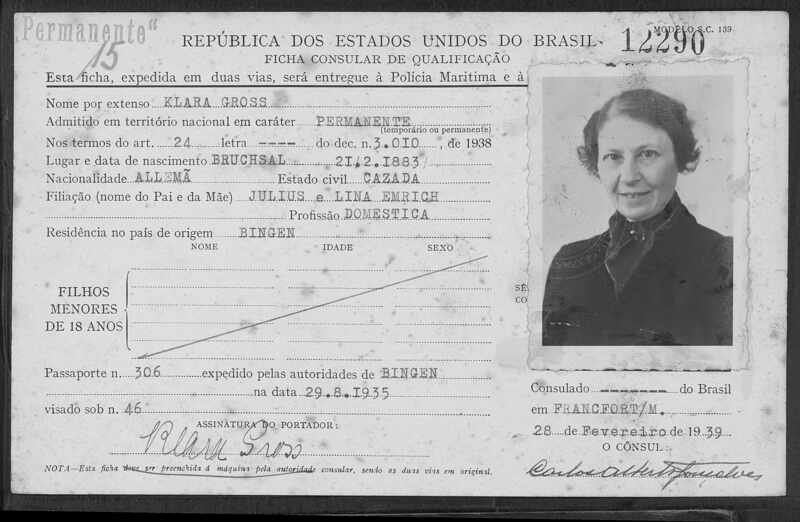 After England was at war with Germany, however, Ilse, along with many other Jewish refugees from the Nazis, was imprisoned as an “enemy alien” in an internment camp on the Isle of Man, according to her obituary. Ilse, who had been writing poetry in German since she was a teenager, began writing short stories in English while in the camp and continued her writing after she was released in 1941. In 1948, she married Kit Barker, a British artist. Ilse began writing under the pseudonym Kathrine Talbot and published a number of well-regarded works, including three novels, many articles, and short stories. She died in 2006, and her obituary in The Guardian includes an extensive description not only of her life but of her work. “Ilse Barker,” The Guardian (June 2, 2006), located here. Thus, Mathilde Gross Mayer lost both her sister Anna and her brother Karl in the Holocaust, as well as their spouses, Wilhelm Richter and Klara Emrich, respectively; her niece Bertha also was a victim of the Nazis. Her brother Wilhelm had died years before, so Mathilde’s only surviving sibling after 1944 was her brother Isidor, who had immigrated to Brazil along with his wife and son and Wilhelm’s widow and son and thus lived a continent away from where Mathilde was in New Rochelle, New York. Although Mathilde was fortunate that all of her children and grandchildren and almost all her nieces and nephews had survived the Holocaust, there is no overstating the tragedy she endured—from the loss of her parents in 1901, the loss of her husband in 1934, the uprooting of her children, grandchildren, and herself from their homeland, and the cruel deaths of a number of her family members at the hands of the Nazis. Perhaps now you can better understand why I want to be able to read her book and get a feel for the real person who endured so much and lived so long. 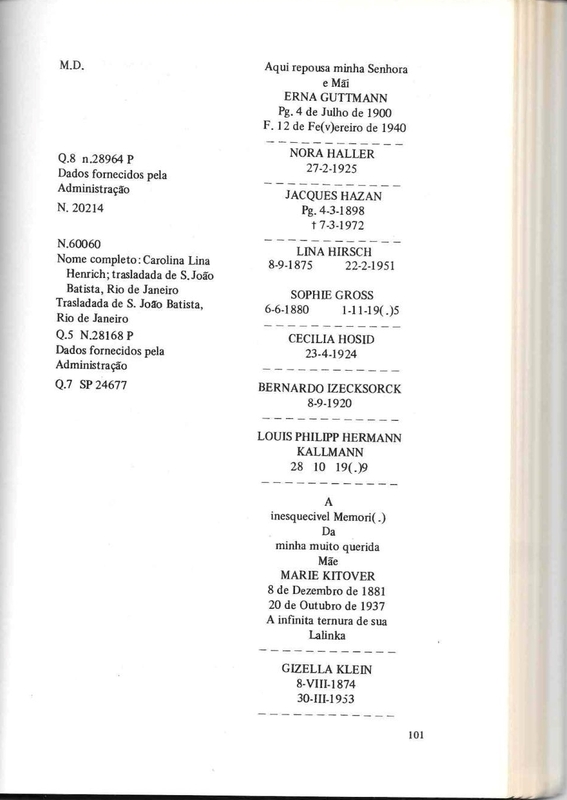 This entry was posted in Genealogy, Germany, Holocaust, Seligman/Seligmann and tagged Brazil, Germany, Seligmann, Stuttgart, The Holocaust by Amy. Bookmark the permalink. Your blog needs to be archived by an important museum. Such a mix of tragedy and hope in your family Amy. And how well you tell their stories, so they will not be forgotten. I’m always moved by the stories you share Amy, and this one was no different. When I read that Ilse was imprisoned as an “enemy alien” in an internment camp on the Isle of Man, my eyes filled with tears. My Walton ancestors immigrated from the Isle of Man and my knowledge of the area is only related to their time there. It never occurred to me that such a beautiful island would have played a role in the Holocaust. The Manx are self-governed, why would they have participated in that horror? It sickens me that one insane person could have such a long reach, impacting people worldwide. The best revenge (for lack of a better word) is a life well-lived. Despite the number of tragedies in her life, Ilse seems to have done just that. Thank you, Laura, for your thoughts. I don’t know anything about the history of the Isle of Man, and I also was surprised that the British had camps for “enemy aliens.” I think it’s something I will research a little more deeply. And yes, Ilse did seem to live a full and productive life. It continues to amaze me how people managed to recover from all they lost. If I may add something to this comment. England was taking what I think were only necessary precautions at the beginning of the war. England was only across the channel from a very powerful enemy. She was awash in enemy spies and had much to attend to. I have read much about the “spy game” England played and by the closing years of the war Germany had no spies in England that were not known to them. I wish the same could have been said for Russian spies that were there. I also think her being released in 1941 was very quick due to what was going on at the time. I think it is important to realize that these camps in no way compared to the German death camps. England was at the very least trying to survive. I don’t think anyone would ever suggest that the camps in the UK were anything like the German death camps; no one was killed, and from the little I have read, people were treated well. But it does seem a bit odd that a young woman—a teenager really—who was Jewish was sent to this camp, as were many of Jews who were trying to escape Hitler, not work for him. Putting innocent people in prison is wrong even in war time; it’s like the racial profiling some are arguing for today. Without evidence of a crime, the government shouldn’t be allowed to lock people up just because of their religion, race, or nationality. The US was, of course, no better. As was pointed out, we interned Japanese Americans and also deprived German Americans of some rights even though many of them were US citizens. Unfortunately, hate and fear are not monopolized by any people, any nation. I think we will have to disagree on this. England was in a declared war. That meant that citizens of Germany who were in England belong to a country that they were at war with. It would only be prudent to gather these people until every T could be crossed and every i doted. These people you must remember were not English citizens but enemy aliens. Germany was trying to send in spies using any ploy they could. It is a matter of history that they used refugees to sneak in their spies. England to her credit never stopped refugees from entering but all were held and checked out. The U.S. had every right to do the same and did so. Not to do this would have been nothing less than negligent. Our disgrace was we took and held American citizens simply because of their Japanese heritage. These were not enemy aliens but our own citizens. Today we are not in a declared war and I agree with your points that the government should not be allowed to lock anyone up without evidence of a crime. What is happening today and what happen in WWll are really two different events. They may have some similarities but so does moon light and sun light. My question is how would you determine how to manage almost 100,000 Italian and German citizens in the country of which many could pose a real threat at the very start of the war? You make valid points, and I understand what you are saying. However, there are those who would say we are at war with Isis (and with some basis for doing so) even if we haven’t declared war. Does that mean we should bar all Muslims from entering the US or all people from that part of the world? It’s a tough issue, and I am not dismissing the risks, but I think we will have to agree to disagree about whether imprisoning a teenage Jewish girl who happened to have been born in Germany was at all justifiable. 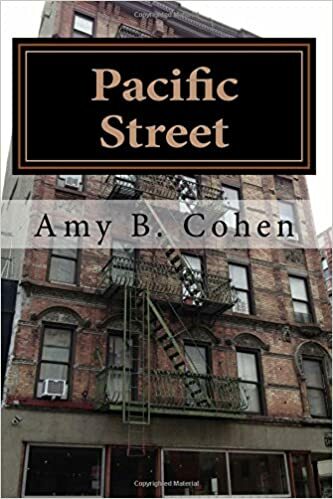 Hi Amy, I was aware that the British had internment camps from 1939 for German and Italian citizens, just as the US had for the Japanese from 1941. Regarding Ilse, I’m amazed that Jewish refugees from Germany were interned. This doesn’t tie in with the Kindertransport scheme at all , that bought thousands of German Jewish children to the UK. Although the Isle of Man has its own parliament, it has always been dependent upon the UK for defence. I find it strange thinking of the Isle of Man as anything but a holiday destination, and a little uncomfortable to think of its history being associated with these camps. Thank you, Shirley. It is so helpful to get insights from those of you who know English/British history better than I do. I also found this very strange, but apparently there was a camp where many artists and writers were kept, so I don’t think it was prison-like. But nevertheless it was a prison. I will have to read more and blog about it at some point. Thank you for the links Amy, I will now get reading! You’re welcome! Isn’t it amazing how there are always new things to learn?! I also found this little web site interesting and it did talk about the camp on the Isle of Man. I knew that you would find that interesting. Passports did not show religion only their country. I firmly believe the only way to sort out these people so to remove the real threats was to gather them up and take each one as an individual case. While we can now see who was who now, they had to do this on the fly while their cities were being reduced to rubble almost daily. I find the fact they did this in about two years time remarkable. I am certain we could not do it so fast today. I will state once more that England took in refugees all during the war. I am embarrassed that we here today would try and stop even the small amounts of refugees that we have been taking in. It is cowardly and goes against everything the Bible teaches us. We should be better than this. But as a life long student of history I should know better than to expect better behavior from the human race. War is hell, as they say, and it certainly doesn’t bring out the best in human beings. And as you said, we can’t expect much even in the best of times from the human race. The saddest part is that we haven’t learned from our mistakes or the mistakes of others. Thanks so much for your comments and your thoughts. It’s a difficult issue. Wow I have never posted so much in the comments before. Part of the reason is that I find your blog so interesting to read. While we do not share family I have learned much about research and presentation from your blog. I will close out by quoting William T Sherman; “War is cruelty. You can’t refine it.” Thanks for a very interesting post. Thank you for the conversation! I really learned a lot from our exchange, and it made me think—and isn’t that the point of it all? For all of us to learn and think! Thank you! A fascinating post. And yes, the internment of “enemy aliens” who were Jewish was a travesty. Yet, we must remember, hindsight is 20/20. As Charles has pointed out, England was awash with enemy spies and did the only thing it could think of to keep its citizens safe. If you’ve ever watched Foyle’s War – there is at least one episode that deals specifically with these camps (Broken Souls), and they are mentioned in others. Plus, Maureen Jennings wrote a great mystery centring on the camps, Season of Darkness… My own family lived in Displaced Persons Camps in the UK after the war…different, but still, they were kept together rather than being allowed to just disperse within the communities. As always, I find your posts full of rich detail and great narrative! Thanks for your comment adding to this discussion. I am going to have to look for Jennings’ book also. I’ve never seen Foyle’s War—something else to add to my list. I know it’s easier to judge with hindsight—my bigger concern is preventing this type of thing from happening again. Thanks again! My husband’s family was from Stuttgart – we may find a connection between our families yet! Great post. I do believe we are all truly just six degrees of separation from each other. Thanks, Debi!